In line with our belief that every organisation is unique and exists in a context that is specific to their resources and capabilities we offer a range of individualised and targeted workshops. Each of the workshops brings decades of practical experience mixed with a broad base of theory and methodological tradition to bear on specific challenges. The workshops are a one-to-one engagement between your organisation and the Bayswater Institute. The workshops are usually held at your premises and may be attended by up to six members of your organisation. The world of work is more complex and diverse than ever: geographically dispersed teams, virtual meetings, flat hierarchies, parallel reporting structures. How can you lead in this environment? ‘Tried and tested’ models fail, easy answers wreak havoc, and rushed action comes with unintended consequences. ‘Managing people’ is one of the top challenges faced by leaders. And people have a mind of their own: they may resist change, disengage from their work, subvert authority, refuse to collaborate, get embroiled in competition or avoid conflict. In this they are often led by their own psychological needs without even being aware of it. Managing people skillfully requires the capacity to understand what goes on ‘under the surface’: in others and ourselves. 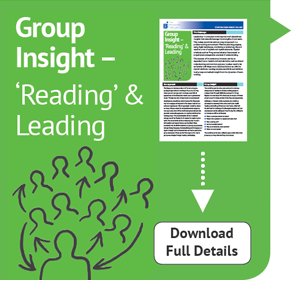 This capacity is developed through reflective practice – a key skill for contemporary leaders. It is the foundation of resilience in the face of adversity, agility in a fluid environment, and visionary leadership in a complex world. Organisations exist to bring together a mix of skills to tackle challenges that have a value. The necessary skills predominantly come in the form of people and their backgrounds. These people may be permanent employees or more transient contractual relationships. Although the focus of the organisation will be on the value add that it brings to a market the interaction of the people plays a key role in how effectively this is achieved. These soft and informal issues are often overlooked in striving for the business outcomes. Yet they can have a major impact on the ability of the organisation to deliver. 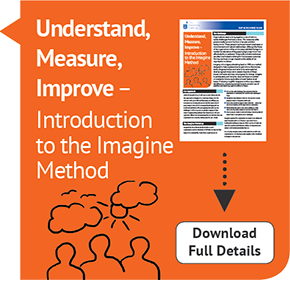 Imagine, with a legacy stretching back to 1999, is a method designed to help organisations to get to know themselves better, diagnose issues and tasks to be accomplished, develop agreed measures to assess impacts of these issues and tasks and map out progress for change. Imagine is participatory and inclusive, does not focus on conflict or anxiety but allows exploration of such factors at all levels. Producing insightful diagrams on the way, problem identification, structuring and pathway to solution are all positive and exciting opportunities to learn. We live in a complex world. It is certain that every generation throughout history has thought this as it is a facet of change and change is continuous. Hamlet grew frustrated with Polonius – the arch-politician/survivor and, at the end of his tether said: “Words, words, words”. Often, we do need to find another, better way to describe a problem. Sometimes words don’t work as well as we might hope. Tony Buzan identified the power of diagrams in his ‘Mind Maps’ and many have followed, developing rich means to explore and catalogue bewitchingly difficult issues. 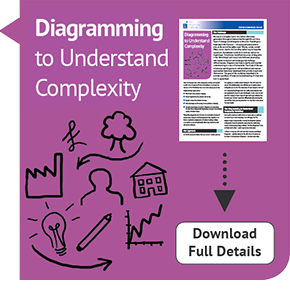 Diagrams can help to clarify and marshal understanding in a sea of complexity. The study of the use of pictures and diagrams is well established and various approaches have been developed that provide insight and illumination. The goal of the workshop described is to provide a portfolio of tools and understanding of when and how to apply them. Positioning a company in a market is now a complex and multi-layered challenge. With many channels to communicate with potential customers there is potential for messages to become fragmented and diluted. The “Crafting your Message” workshop starts by reviewing your position in the market and linking this back to your strategy and plans for sustainability and growth. Whether you are promoting a product or service the approach develops your key themes about what you would want your potential customer to know about you and your company. 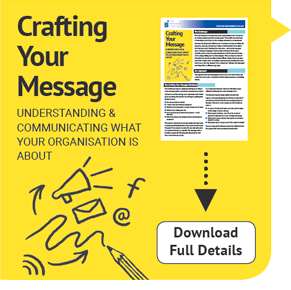 The afternoon then goes on to explore these themes and build an approach that provides coherence and consistency across you communication plans. By bringing solid business analysis techniques together with storytelling approaches utilised in documentaries and film the day provides a unique insight into your communication planning. Leadership in a complex world requires multi-disciplinary insights that naturally leverage the strengths of your team. This makes social interactions a key component in a problem-solving environment. Whether planning projects, using ‘Agile’ techniques, monitoring or evaluating, the end result is a mix of explicit and implicit elements. 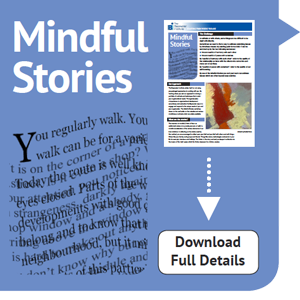 Explicit artefacts such as ‘Programme Initiation Documents’ or project plans encapsulate one level of understanding. The success of the endeavour, however, can be as dependent upon implicit and tacit elements such as shared understanding and common purpose. Leaders need to be as familiar with these more nebulous factors as with the explicit artefacts. 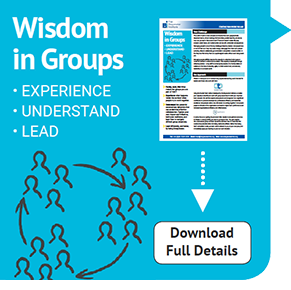 Leading requires sensitivity and ability to read groups and extract insight from the dynamics of team working.